KB Ranch » Blog Archive » Gila monster! 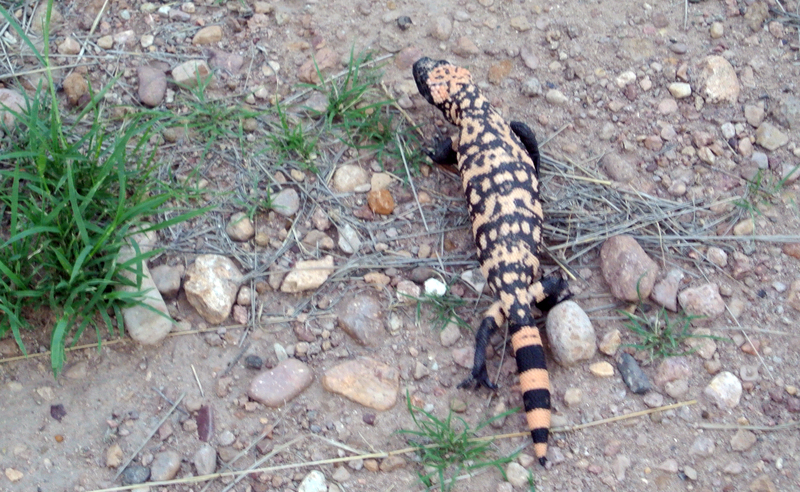 There is one animal here that I had never seen and really wanted to — the gila monster. Yesterday, we saw one right in front of our house. It ran right across the porch and kept on running. It was a juvenile and ran so fast that I didn’t get the greatest pictures. We were so excited! It is so beautiful! colorful and full of life.